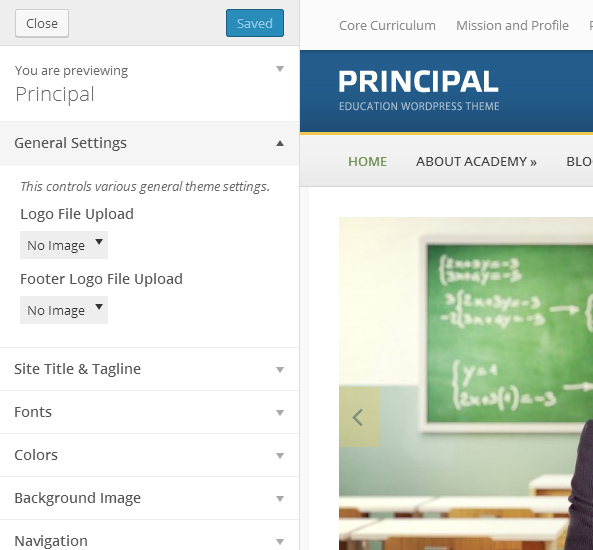 Below you will find information related to Principal WordPress theme. 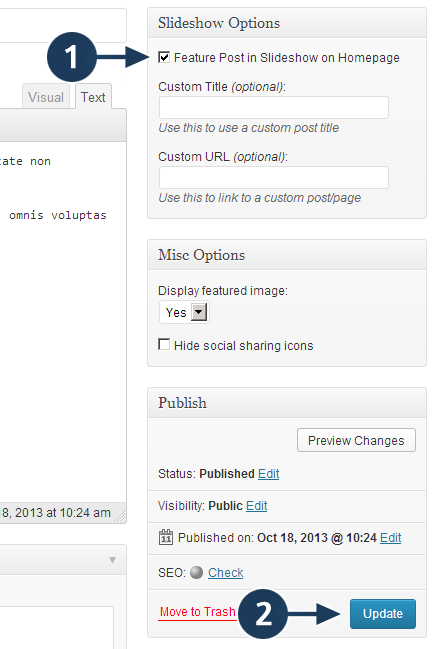 On the Edit Post page, in the top-right corner, check the checkbox “Feature Post in Slideshow on Homepage”. Some Slideshow settings can be adjusted on the Dashboard > Academia > Theme Options page, the Homepage tab. Make sure that in Settings > Reading your Homepage displays “Your Latest Posts” instead of a static page. 640×350 – used for the slideshow on homepage and single post/page pages. 280×120 – used for the Academia: Featured Page widget. 220×120 – used for the Academia: Featured Category widget. 190×125 – used in the Gallery custom page template. Some of these page templates include additional options. 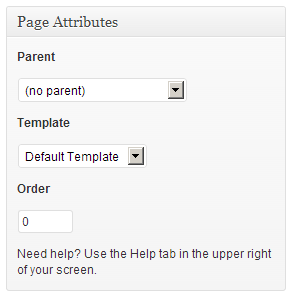 After choosing a template for your page, click on “Save Draft”, “Publish” or “Update”, to save your changes. After that, pay attention to the additional options that will appear on the page, in the top-right corner of the screen, as in the screen-show on the right. Different page templates have different options, so be sure to check them out. Some page templates don’t have additional options.